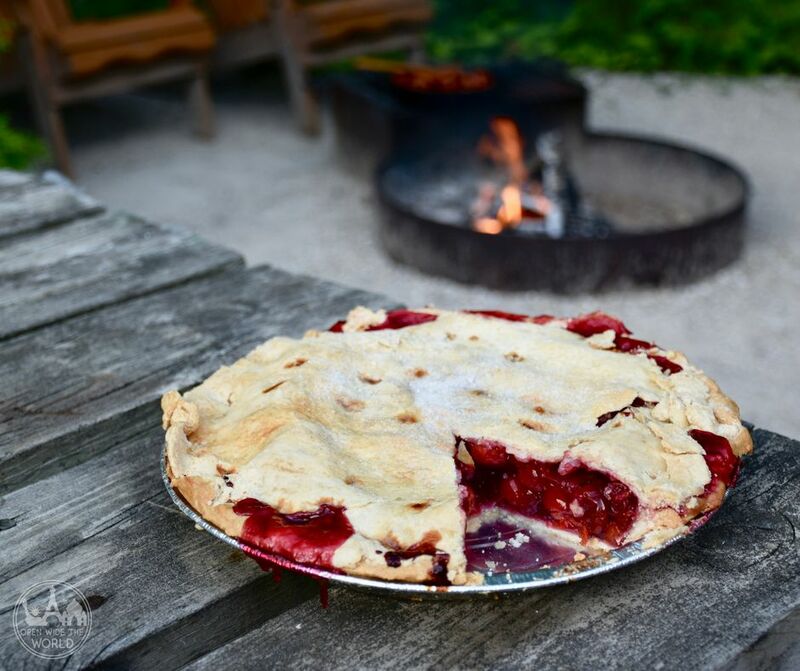 A tasting tour of eleven of Door County's homemade cherry pies lead to a newfound appreciation for the most overlooked pie in our family. 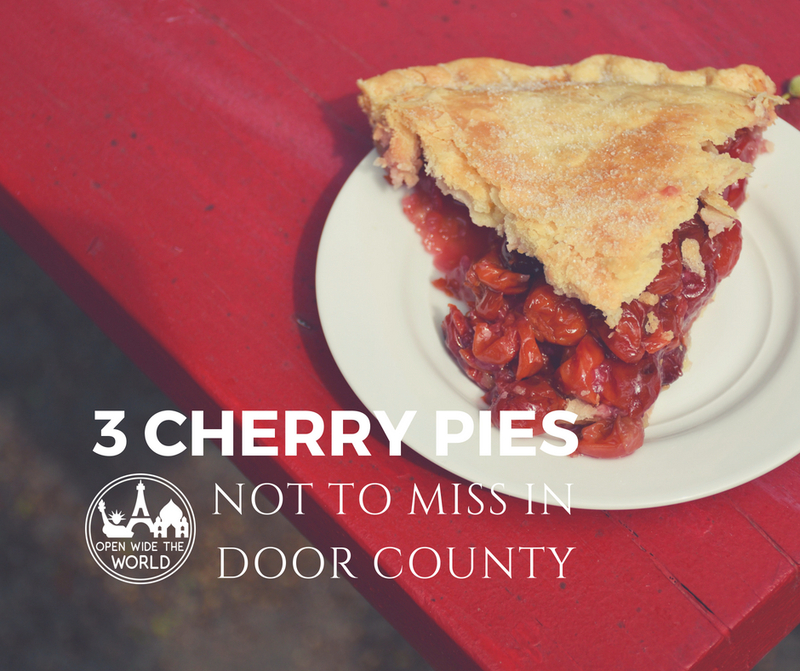 It's true: when our Pie Team Plus Two (the "Plus Two" is our Beer Team, who often travel with the Pie Team) set off for Door County to taste and rate every cherry pie we could find, not a single one of us was particularly excited by cherry pie. Really. I can't think of the last time I had a slice, except at a funeral luncheon, courtesy of the sweet little old ladies of St. Something-or-other Lutheran Church in Central Minnesota. But because we love to engage more deeply with our destinations and we know a little bit about pie judging (read more on that in our interview with Pastry Chef Megan Garrelts), taste-testing cherry pie in "Cherryland USA" was a given. From restaurants to orchards to bakeries, we ate every homemade cherry pie in the county - and survived to report the results! Current research suggests that tart cherries (which are more commonly grown in Door County than sweet cherries) may fight inflammation, reduce the risk of cardiovascular disease, help regulate sleep cycles, and improve gut health. What started as a dairy farm on a family homestead owned since 1884, Bea's went through several iterations across generations, and eventually evolved into one of our favorite pie baking sites in the county! Back in the '60s, Bea's young daughter began selling cherries and her grandmother's jams from a picnic table on their dairy farm. When product sold out quickly (and a state inspector bothered to make the trip to recommend replacing scribbles on masking tape with professionally printed labels), the family realized they had found a new venture. We've been to Bea's several times, each time with different people, all of whom have tried other pies in the county, and all of whom have declared Bea's in their Top Two list. The traditional lard crust combined with the simplicity of cherries cooked-down with only sugar and flour make this unassuming pie a nearly unanimous favorite! Nov - May: Call ahead to confirm! Another popular part of the business is jams & jellies, pickles & relishes. We especially love the remote setting of Bea's; almost as if you'll fall off the peninsula if you drive another few feet! 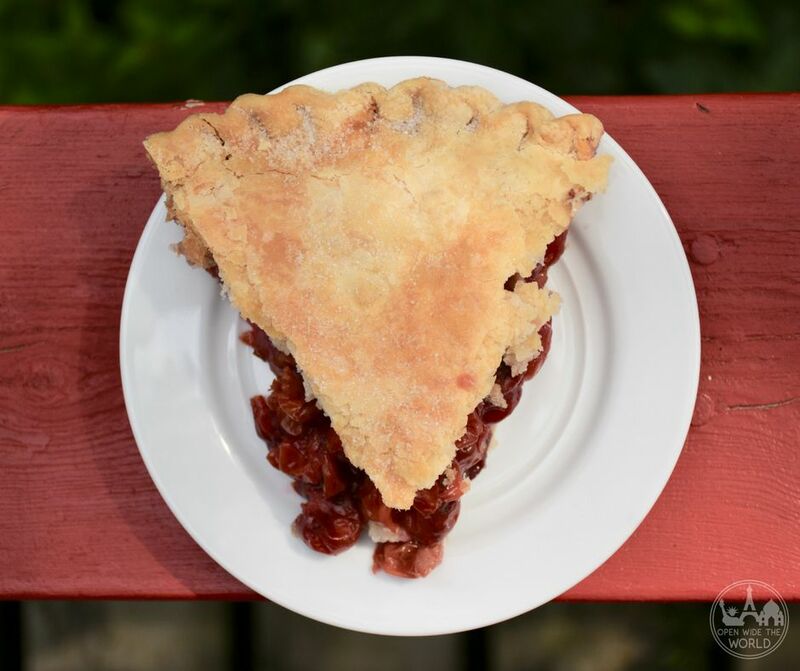 With 23+ years experience baking pies in the county, Sweetie Pies comes in at a very close second pick for cherry pie in Door County. Our team deliberated -and tasted and retasted!- long and hard, because this pie is so good, it's difficult to not give it first place. And it's a favorite among locals, too. Even Rachael Ray has touted Sweetie Pies' pies as Top 10 in the country. While we couldn't hand out two first place awards, we absolutely love Sweetie Pies' almost cookie-like crust. And their fully intact cherries make for a delicious, mouth-awakening burst. You definitely can't go wrong with a slice of Sweetie Pie's cherry pie! Door County residents swear by Sweetie Pies' "Buried Treasure" pie. We love the shaded seating on the brick patio. Aslo thrilled to know we can pick up a Sweetie Pies pie around Chicagoland for Thanksgiving. The crust has nice, somewhat thinner and clearly visible layers; layers which almost, but not quite, flake apart. The filling holds shape well, showcasing full, round cherries. They have an expected sweetness but with a fun, subtle zing of sharp tartness. This is solidly good cherry pie that anyone would appreciate, cherry pie lover or not. The location is ideal for anyone not venturing too far north into Door County. And the friendly service will make you feel like a local. It's hard to beat eating a slice of cherry pie under shade umbrellas along the entrance to a gorgeous state park! And that's just the setting for enjoying pie at Julie's. This pie's filling is a bit average, but the crust is amazing and the location unbeatable, especially after a morning hike! Just a small bakery tucked in beside a grocery store, Pink is so unassuming you could easily overlook it. Our advice: don't! The cherry filling might be fairly ordinary, but the crust was among our Pie Team's favorites (and also loved by our "Plus Two"). This pie is definitely worth a taste, especially if your visit allows for a fourth pie stop. Intermittently open around fall & winter "pie holidays"
Are you a pie fan? Do you love Door County? Click for lots more pie fun & facts! Will you be heading through Milwaukee to get to Door County? Pin this post for your next trip to Door County!